With her loving husband Allen and family at her side, much loved wife, mother, grandmother and great grandmother, peacefully went to see Jesus, passing away at Roseview Manor on January 11, 2019 after a long battle with Alzheimer’s. Born July 3, 1940 in Port Arthur, ON to Aurelio and Ida Marconi (Slongo), she lived her entire life in Thunder Bay. She dearly loved her parents and her childhood. She fondly reflected on the family parties with the Slongos, Barbinis, Jaremeys, and the Marconi’s. It was always family first and she loved music and dancing. She worked a full career of 34 years with the Ministry of Natural Resources, holding positions in Human Resources, Finance and Administration and Payrolls. Retiring in 1994, she and her inseparable husband Allen, pursued other business interests, but, the big priority was to spend time with the children and grandchildren in southern Ontario and British Columbia. When she wasn’t visiting them, they were always on her mind. 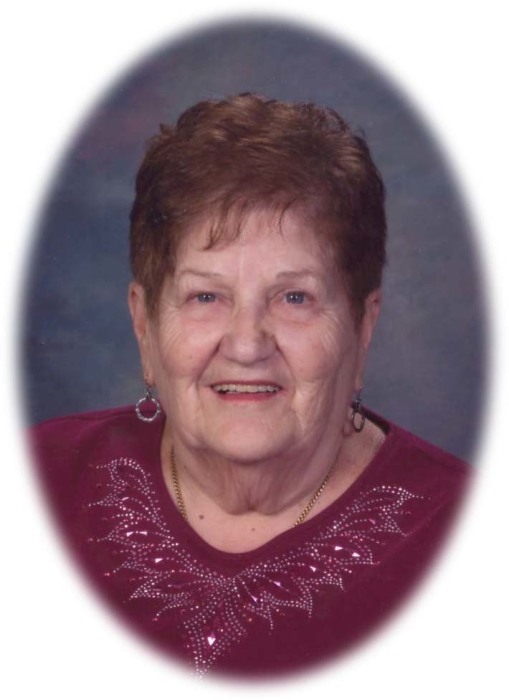 She dearly loved her grandchildren and they could do no wrong! She was happiest when they surrounded her while she made a huge pot of the “sauce” and pasta. She loved to “sling the hash” and everyone who crossed the threshold to her kitchen were offered what ever was cookin’. When she finally got “my motor home” she was committed to ensuring her grandkids had a motor home experience. She loved to show them things and of course, roll tons of food out of the motor home kitchen. She was a very competitive person, her big love being the game of curling. She curled many years in Port Arthur, Lakehead ladies and the Ladies Major League. While advancing, out of Thunder Bay always eluded her, she always loved the game. She was also a fiercely competitive fisherman. There was nothing she loved more than a day on the lake, in “my boat”, with her husband, her dad, brother, kids and grandkids. She was always organizing the first, most and biggest competition and, of course, making sure the shore lunch happened. With her passing, the family is happy for her, but so sad for us. The blue eyes will be sorrowfully missed. For her, while the candle is blown out, the dawn has come. She was predeceased by her father Aurelio Marconi, mother Ida Marconi (Slongo), stepmother Adelgesia Marconi, and brother Richard Marconi. She is survived by her loving husband Allen of 40 years, son Richard (Melissa), daughters Sherri (David), Catherine (Lyn) and stepsons Kevin and Jeffery (Nicole). Also grandchildren Madison (Allyson), Mackenzie, Bryce, Marlee (Chris), Peter, Joshua, Tyler (Karyssa), Michael and step granddaughters Hunter and Heather and nieces Shelley (Brent) and Karen (Jim) and grandnephew Jack. Cremation has taken place. She had many very special friends. The family wishes to thank the staff at Roseview Manor for the care Linda received since her admission in April 2017. We also wish to thank the staff and membership of Grace church for their ongoing prayerful support for many years. A celebration of life will be at Grace Evangelical Free Church, 289 Court St. North, at 10:45 am, Saturday, January 19, 2019. Interment will be at a later date. In lieu of flowers, memorial donations may be made to the Thunder Bay Regional Health Sciences Foundation - Cancer Fund or to the Alzheimer’s Society would be appreciated. Linda Johnson will be remembered in the Blake Funeral Chapel Memorial Grove. Annual dedication service Sunday, June 14, 2020.